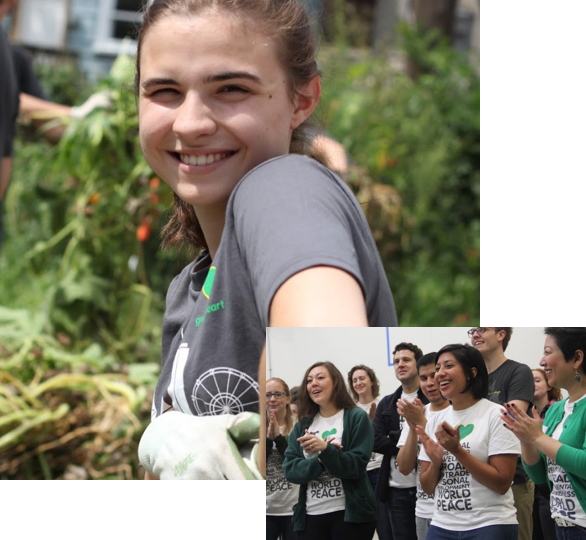 Bring the world to your community by hosting an international student with Greenheart Exchange! 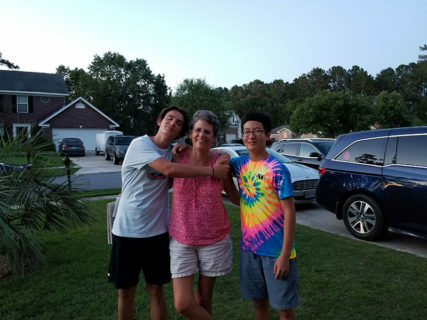 Families who host foreign exchange students often experience a lifelong change as a result, developing a relationship that lasts far longer than the program. Open your heart and home to a student and perhaps you will find yourself halfway across the globe celebrating with them and their family in the years to follow your hosting experience. Why Host with Greenheart Exchange? Experience: Since 1985, Greenheart Exchange has placed over 20,000 international exchange students with families seeking to host a foreign exchange student. Greenheart provides a strong support system to our participants and families. Diversity: Students come from a range of cultures and backgrounds, with over 60 countries represented. Greenheart provides a wealth of cultural exchange opportunities for our families, communities, and students. Civic-minded: Greenheart Exchange encourages all foreign exchange participants and interested host families to volunteer and give back to their host community. The Department of State implemented a toll free number (1-866-283-9090) for secondary school students, which was effective August 1, 2009. The toll free number can be used by host families, exchange students and the public to report circumstances impacting the students’ health, safety and well being during their exchange visitor programs. You may also email the Department at jvisas[at]state[dot]gov. Florian is a 17 year old boy from Switzerland who likes to stay active, spend time outdoors, and be social with friends in his community. His favorite sport is floorball, and when he wants to relax, he'll watch Netflix or go to the movies. Florian's favorite subjects in school are history, sports, and chemistry. He looks forward to expanding his knowledge of American culture through this exchange program, and he is eager to make knew friends and meet his host family. Pitchaporn, who also goes by Minty, likes to play volleyball and sing karaoke with friends in her free time. She also loves make up art and likes to practice putting on make up for her friends and her mother. Minty attends a tough school at home in Thailand, and she is interested to see how education compares in the U.S. She looks forward to meeting her host family and learning about their customs and traditions throughout the year. Wayra is a 15 year old boy from Bolivia who enjoys a variety of hobbies and activities including listening to music, playing soccer, going for bike rides, or playing ping pong with his friends. He also has an artistic side and loves drawing landscapes, which he hopes to continue during his year in the U.S. Wayra wants to study electrical engineering in college and his favorite subject to study in school is math. He is eager to begin his exchange year and to step out of his comfort zone in order to learn about a new culture and grow close with his host family. Dongdong, who goes by Russell, is a 16 year old boy from China who enjoys playing basketball with his high school's basketball team. He also plays percussion in his school's orchestra and has made many friends this way. Russell hopes to study bio-science or medicine when he graduates from high school some day. He hopes to spread understanding of Chinese culture in his host community as well as learn first hand about American culture rather than relying on media to form his opinions. He is excited to live with a host family and hopes to make great new friends throughout the year. Anna is a 17 year old girl from Italy who is very close with her family and loves traveling with them and spending time in nature together. She loves pets and children and spending time with her friends too. Likewise, she enjoys spending time reading, eating pizza, and studying English! She thanks you for making her dream come true to study in America! Techasit or "Arm" is a 15 year old boy from Thailand who hopes to become a computer programmer one day because he believes the future will be filled with technology. But in the meantime, he enjoys teaching himself guitar, listening to classic R&B and playing sports like basketball and table tennis. He hopes to improve his English in the US and to learn a new culture through his host family. Each year hundreds of international students come to the U.S. on our Short-term Cultural Exchange programs. 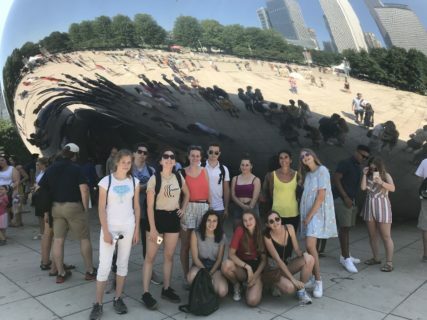 While some travel in a group, others travel independently, yet they are all visiting the U.S. to experience American culture and to improve their English language skills. Hosting one of these students is a great way to get a taste of what it’s like to be a host family. Greenheart Exchange seeks families in various communities in the U.S. to host a few short weeks during the summer or over a holiday break. To learn more about hosting a group homestay participant, click here. If you are ready to begin hosting and want to fill out an application, click here. Greenheart Exchange administers FLEX and YES Grant programs for international high school exchange students. Both programs are done in partnership with the U.S. Department of State by a consortium of nonprofit organizations led by American Councils for International Education. Bring more understanding to the world by starting with your family and community! FLEX and YES students are recruited and selected as the top students in their home countries. They go through a rigorous selection process before they are awarded a scholarship to participate in the program. FLEX and YES students arrive eager to learn more about American values and ideals. They are required to participate in activities that teach civic responsibility. FLEX and YES students hope to serve as effective ambassadors and to bring stereotypical barriers down in communities across the United States. Fill our “Host Now” inquiry form to get started! The Department of State recognizes that youth exchange is a key component to building bridges between citizens of the U.S. and countries around the world. Interested participants should apply through American Councils, as Greenheart Exchange only acts as an approved placement organization but is not responsible for recruitment of participants. Located in every state, volunteer host families provide our young ambassadors a wide range of landscapes, climates, activities, and lifestyles. Greenheart Exchange Host Families are also flexible and open-minded, are age 26 or older, and represent the diversity of American culture. Our families are of varied economic, religious and racial backgrounds and include working parents, empty nesters, singles and single parents. What would be expected of me and my family? How long does a student stay? Most students are attending high school for a full school year, which is 10 months, generally September through June. A handful of students come for only one semester (5 months) and start in either the fall or winter semester. We also have participants who come on short term (2 – 8 week) programs, primarily in the summer. Greenheart exchange students come with their own spending money and are responsible for paying for their own activities and costs incurred for school functions. You will need to pay the extra, minimal costs, associated with housing another person, such as utility bills, increase in groceries, etc. Will my exchange student be covered under my health insurance? Students have their own accident and health insurance coverage during their stay. They will not have to join your health plan. Do I get paid to be a host family? Generally, hosting on Greenheart programs is a volunteer opportunity. For J1 high school programs, the Internal Revenue Service has authorized families to claim a $50 per month charitable contribution deduction on their itemized tax returns. What if my family or my student have trouble with adjustment issues or any other issues during their program? How does Greenheart Exchange support me? Host families and students have access to 24-hour support and advice from your Local Coordinator, who will help pair you with a student, promote the program to your community, and monitor your experience during your student’s stay. I’m ready to host! How do I get started? First complete our inquiry form. You’ll receive an email with login information to our online database where you will access the application. You will also be contacted by a Local Coordinator in your area. Call us toll-free at 800-634-4771. We’re more than happy to answer any question you may have. Extroverted. Passionate. Self-starter. These are just some of the qualities that our best Local Coordinators possess. These curious and motivated individuals have the rewarding job of finding families in their community who are interested in hosting a foreign exchange student. Local Coordinators also monitor and supervise exchange students and help them adjust to their new life in America. Provide information to American students,families, and communities interested study and travel abroad through Greenheart Travel or other Greenheart related opportunities. Experience the rich world of cultural exchange and bring your community closer together through the support of the Greenheart Exchange family. Tell us you’re interested! Complete the inquiry form and a representative in your area will get in touch with you. Have a phone interview and discuss next steps. Fill out the inquiry form and tell us about you and your family! Look for an email or expect a call from a Greenheart Exchange Local Coordinator (someone who lives in your area). They will answer any questions and provide you with more information about the hosting experience. Complete an online host family application. Meet your local coordinator in-person. Welcome to the Greenheart Family! Get ready for the experience of a lifetime!